The Lab aims to provide support for the Indonesian government and serve as an avenue to develop effective IoT-based use cases. 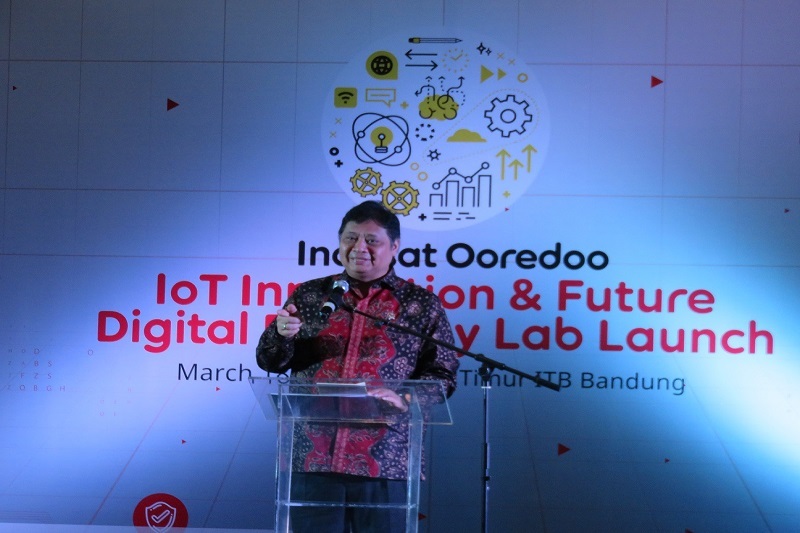 The Internet of Things (IoT) and Future Digital Economy Lab of the Bandung Institute of Technology was recently inaugurated by the Minister of Industry, Airlangga Hartarto. According to a recent press release, the Lab will be beneficial to the progress of the nation by encouraging innovation and advancement in the field of digital economy during the Industry 4.0 era. In his speech, the Minister highlighted the role of the Laboratory in producing innovative ideas, in referencing product designs, and in creating solutions that will respond to IoT problems. The Lab aims to provide support for the Indonesian government as they attain their goal of developing the country’s human resources, particularly the younger generation as they face the Industry 4.0. Indonesia’s population is considered as to be one of the biggest in the region, with a significant portion coming from the millennial generation. In addition, the Lab will serve as an avenue for the stakeholders to develop effective use cases that are based on IoT. This Lab will be one of the several IoT laboratories all over Indonesia that were established by collaborating with industry. Everyone, from the lowest level of society to the top level, will be benefiting from this. They can gain valuable learnings and insights as well as reach the stage of information and knowledge democratisation. Moreover, the IoT and Future Digital Economy Lab will be in line with the government’s Making Indonesia 4.0 plan, wherein they are aspiring for the country to emerge from the middle income trap by the year 2030. The Lab will contribute to answering the challenges brought about by the Fourth Industrial Revolution. It will help particularly with achieving the country’s goal of becoming the country with the largest economy in the region by 2030. The Lab can also aid with the country’s goal of boosting its manufacturing exports by 10%, in increasing its productivity as well as building its innovation capabilities. The end goal, of course, will be to boost the nation’s economy. Meanwhile, a panel discussion led by the University’s alumni centred on the topic of “Making Indonesia 4.0, Are We Ready?” in line with the buzz that the Industry 4.0 era is creating. As reported, the discussion was attended by 250 participants who are lecturers, alumni, representatives of provincial governments and students. The first discussion focused on how digital automation transforms the way businesses operates. The speaker highlighted that although companies are aware of the importance of Industry 4.0, they have not done anything to address it. The next speaker showcased the two most important things in the development of Industry 4.0 – sensors and the Internet of Things (IoT) – saying that it is predicted that there will be 50 billion devices in need of sensors by 2025. Emphasis was made by the last speaker on how collaboration is critical among government, academe and industry in order for the country to succeed in Making Indonesia 4.0.